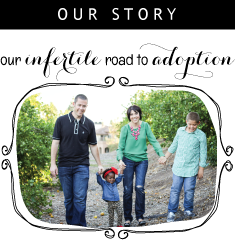 I know I have lots of followers that have walked the road of infertility and/or are growing their families through adoption, so I'm hoping that you will all go check out the Choose Joy Conference. This is a one-day conference that I started last year to minister to those surviving infertility and adoption. This year's conference is Saturday, May 3rd in Laguna Hills, CA. Too far for you??? Well then let me tell you about something else: RIGHT NOW we are giving away an all-expense paid trip to Choose Joy from anywhere in the Contiguous US!!! 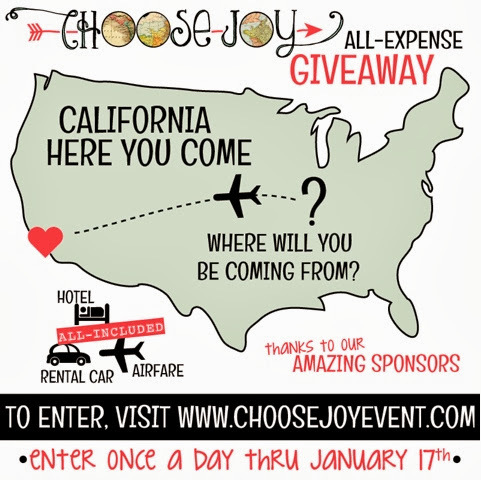 So head over to the Choose Joy website, check out the conference and enter to win.